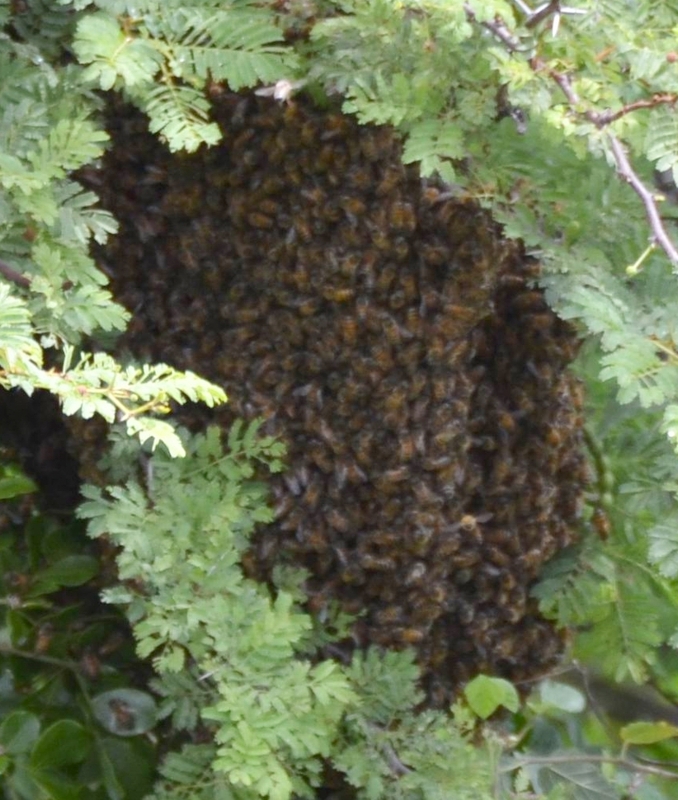 Hiking Curaçao - Flora and Fauna: The Queen and her bees, looking for a good place to nest. The Queen and her bees, looking for a good place to nest. 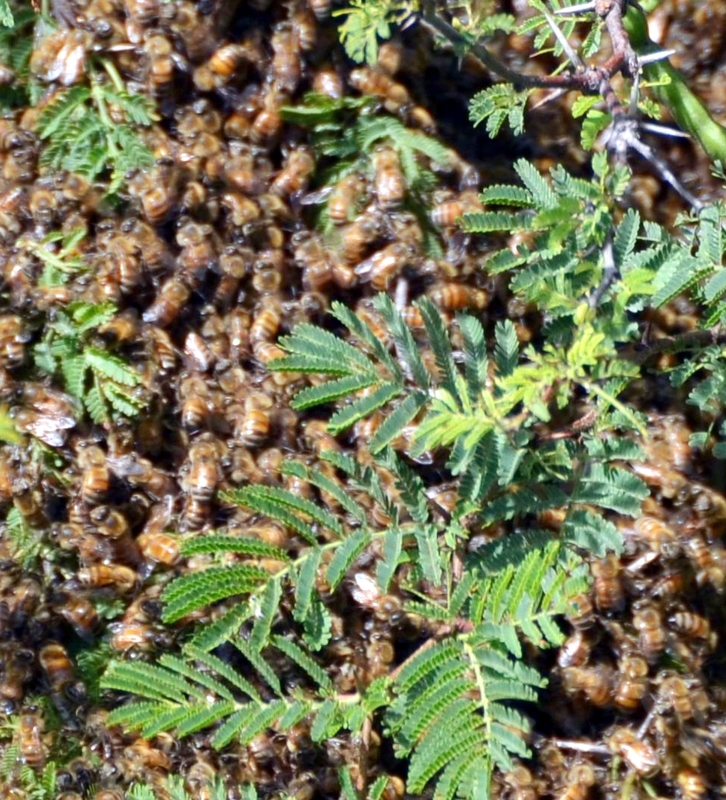 First, they came swarming in. Looking for a suitable place to build a nest. The next day we saw them clustering together. Too close to our house for comfort. 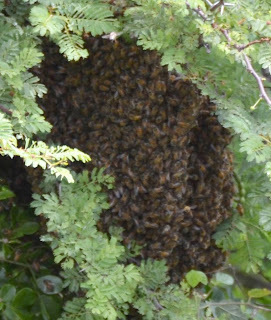 45000 bees protecting the Queen. 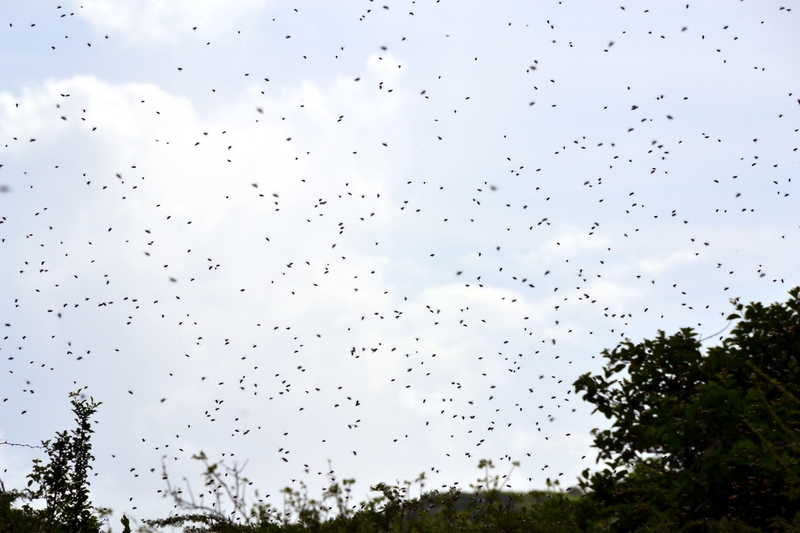 A large group of bees flew away, this morning. We expect them to be back this afternoon. That is when the bee-keeper will be there too. 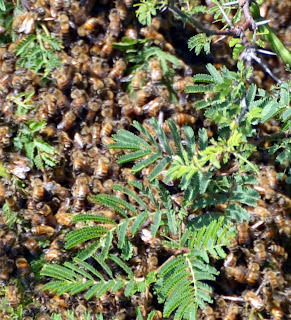 The bees that stayed on the nest are busy as bees, doing a great job; whatever that is.